Easter is a great time to share your faith with the lost. 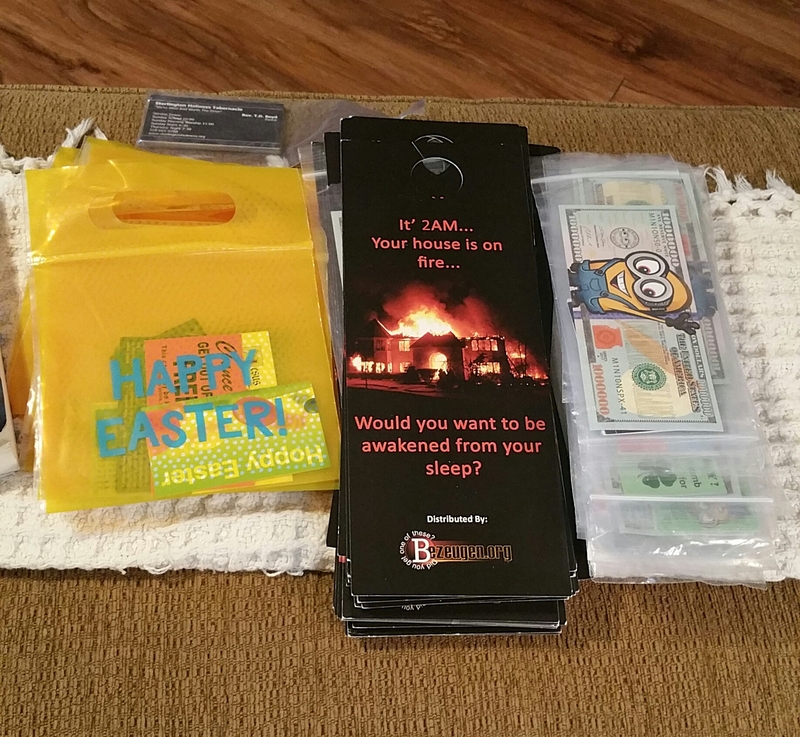 For several years, Bezeugen Ministries has been sending the Hoppy Easter tract in the mailing for Easter month. One of the easiest ways to give someone this tract is by saying "Happy Easter!". I have gave out many at the stores this year. 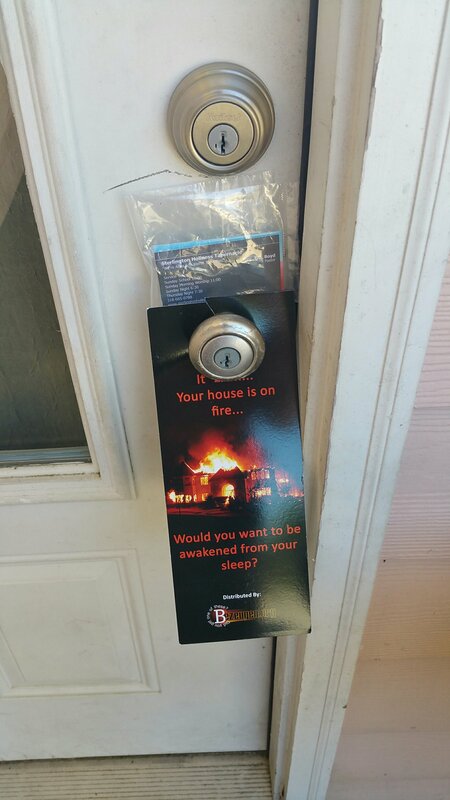 We used then in our door to door outreach this Saturday before Easter Sumday. 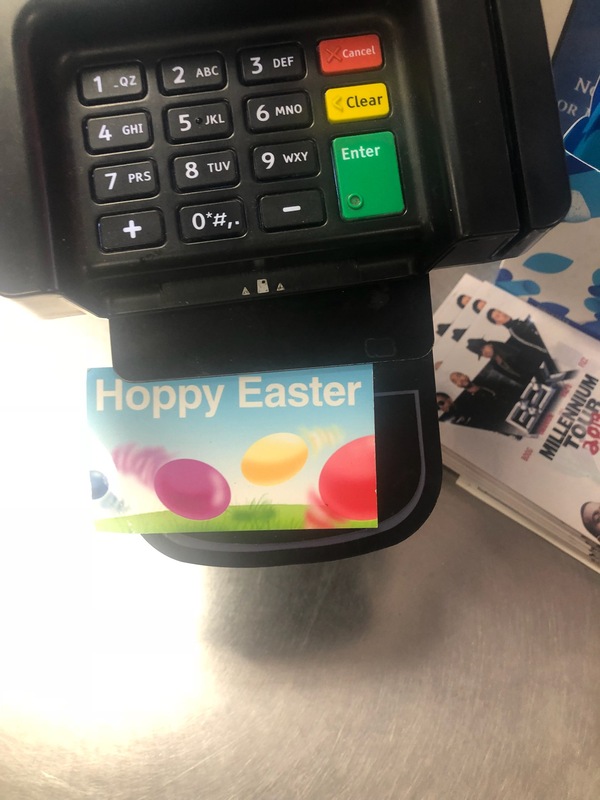 Hoppy - I mean Happy Easter!! On the way to work yesterday, I stopped at the Chevron with the intention to give someone a New Testament and tract. A man was leaving when I pulled in. I thought I had missed him, but he was backing up instead of going forward. I stopped him and told him that I wanted to give him something for my birthday. 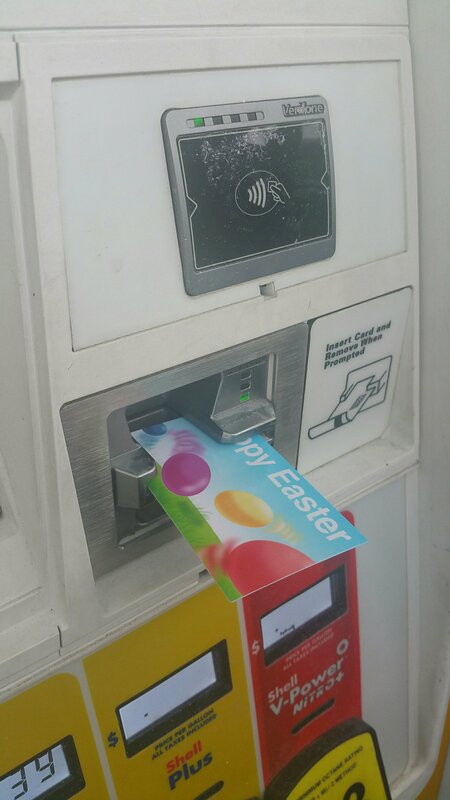 He took the New Testament and a Hoppy Easter tract. His name is Randy and he is 63. I stopped at the same store this morning. 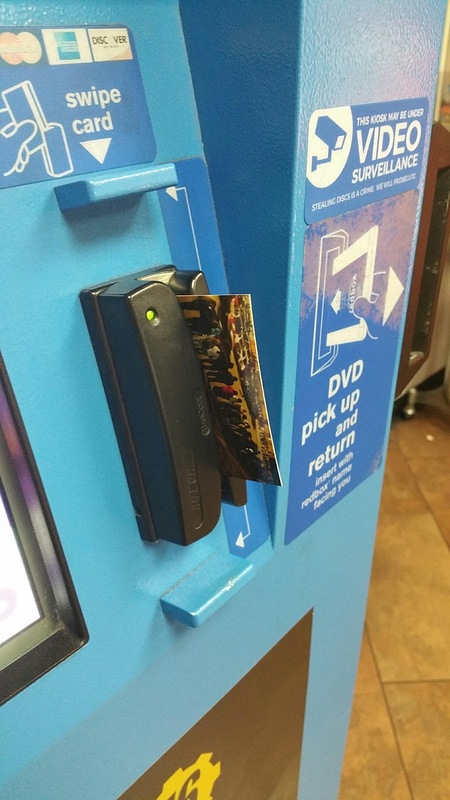 Keeva was the cashier. She is a Hindu. She took a New Testament. We gave Martin, our waiter at Olive Garden tonight, the Hoppy Easter tract. I gave one to a couple that was behind us and a waitress as we were leaving. 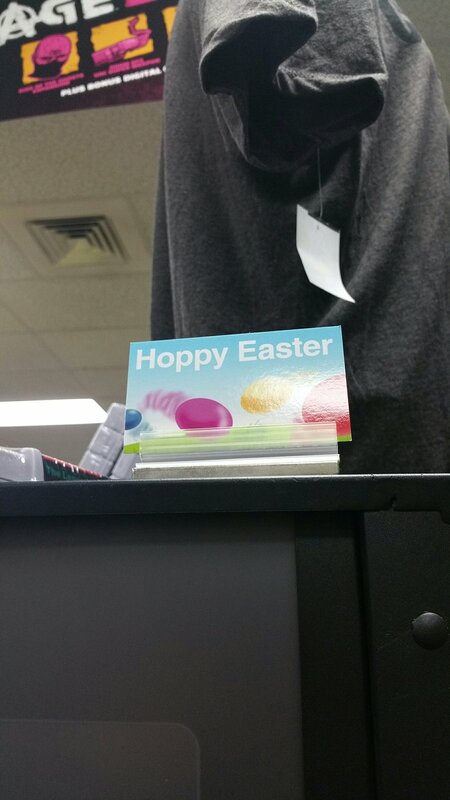 Jay and the cashier took the Hoppy Easter tract at Ross. 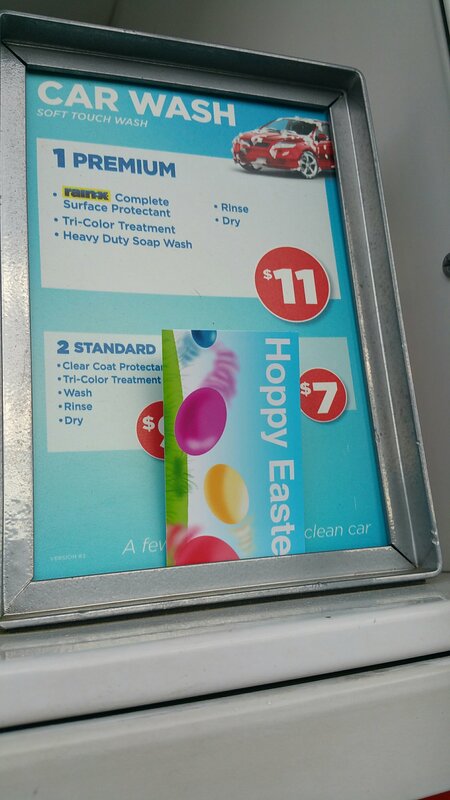 Several people took The Greatest Gift and Hoppy Easter at Walmart. I gave the Seinfeld million to a family of 3 at the checkout. John Currier was found guilty of murder in 1949 and sentenced to life in prison. Later he was paroled to work on a farm near Nashville, Tennessee. In 1968, Currier’s sentence was terminated, and a letter bearing the good news was sent to him. But John never saw the letter, nor was he told anything about it. Ten years went by. Then a state parole officer learned about Currier’s plight, found him, and told him that his sentence had been terminated. He was a free man. Christians have been entrusted with the most important message in the world. 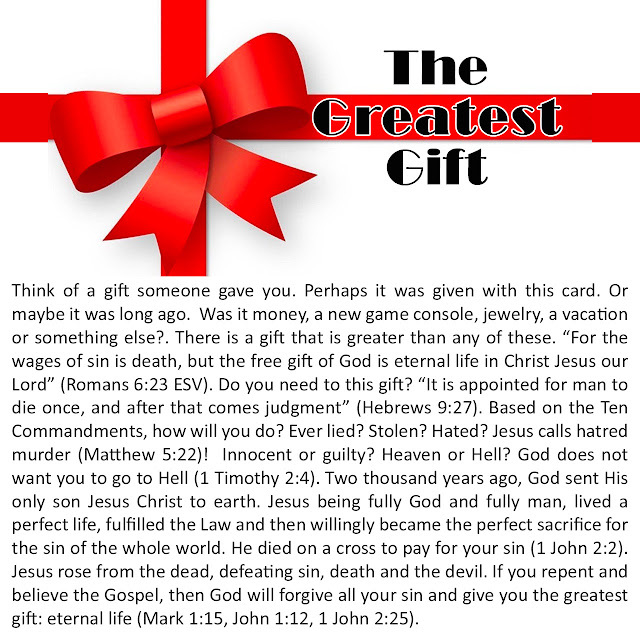 Yet many of us never deliver that message to those who have the sentence of death in themselves (2 Corinthians 1:9). God says It is appointed unto men once to die, but after this the judgment. It is appointed. No matter how you die, it doesn’t take God by surprise. Your life will be taken, least of all when you expect it. By far the most who die today, across the world, will be under the age of 25. Not old people. When is your moment? When you’re old, and have fulfilled your dreams, and plans? You’re going to do this or that. Oh, only if the Lord wills you’ll do this or that. I don’t know how God could be clearer in saying there’s nothing that will prolong your life one moment more from the moment God knows you to be taken, young or old. It is appointed unto men once to die, but after this the judgment. It’s a fearful word, judgment. John records the revelation given to him by Jesus of mankinds’ destination. He says, I saw a great white throne, and him that sat on it, from whose face the earth and the heaven fled away; and there was found no place for them. And I saw the dead, small and great, stand before God. What a moment. It’s a fearful thing to fall in the hands of the living God, of an angry God. The hands that died for you, that bled for you. The hands that cry out to you. He could do nothing more to save you than what He’s already done. There is no word He could add, no pain more He could suffer, no plan further He could make to make it gloriously possible for you to come and be saved. It’s a fearful thing to fall into those hands, if it’s past death, and you did not prepare to meet with God. I saw a great white throne, and him that sat on it, from whose face the earth and the heaven fled away; and there was found no place for them. And I saw the dead, small and great, stand before God; and the books were opened: and another book was opened, which is the book of life: and the dead were judged out of those things which were written in the books, according to their works. And the sea gave up the dead which were in it; and death and hell delivered up the dead which were in them: and they were judged every man according to their works. And death and hell were cast into the lake of fire. This is the second death. And whosoever was not found written in the book of life was cast into the lake of fire. At the moment of death you’re in hell, crying out “I’m tormented in this flame.” But then, there’s the great white throne. Then all will be cast into the lake which burneth with fire and brimstone which is the second death. A place prepared for Satan and his angels, and all those whose names were not written in the Book of Life, who prepared not to meet with God, who were not washed in the blood of the Land. There with the devil and his angels, where the smoke of their torment ascendeth up forever and ever. They have no peace day or night. What more can God say in this Book? What more can God say to you? Flee from the wrath to come! For God said “Flee.” It is appointed for man once to die, but after this the judgment. The possibility of death places on me a grave responsibility toward every soul God and man expect me to witness to. When I was a young preacher, some twenty-five, twenty-six years ago, I worked with a man in South Africa who was the district superintendent of the missionary society I was in. His name was Mr. Fanie Harmse, an Afrikaans speaking South African man. What a man of God. What a privilege God gave me as a young worker to have this example of the believers. He walked with God. I learned through that man as a young preacher, just watching him, learning daily. I will be grateful to God for all eternity for all that I learned from that man: his walk with God, his wisdom with souls, his anointed preaching, and his anointed life. Once in awhile he joined up with the young workers who were out there preaching night after night, in town after town, for one or two weeks. Visiting all morning. All afternoon preparing. Every night preaching. Then after the sermons dealing with souls. For years I lived like that, living out of a suitcase. In one of the towns, this godly man came to see the young workers, those under his responsibility. Us, without much wisdom, but full of fire. There he was to keep a watchful eye on us, teach us, warn us, rebuke us when we needed it. The man was offended. He pulled his hand away and said, “No. Thank you very much. I don’t feel I would like to do that at all.” He began to walk away. This man pulled himself away, shook his arm, and shouted, “Leave me alone man!” He went through the door angrily. Now everyone was silent, looking at this man. He turned around at the door, and looked back at Mr. Harmse. Tears were coming down Mr. Harmse’s face. He felt bad. He said, “Mr. Harmse, I will come back here tomorrow night. Maybe then, if I feel like I would like to pray with you, I will pray with you them. But Mr. Harmse, you were wrong, what you did here to me tonight. You embarrassed me, sir. You were wrong in embarrassing me like this before all these people.” He turned and walked out into the dark of the night. The next morning Mr. Harmse was walking along the pavement with the young workers, in the town. 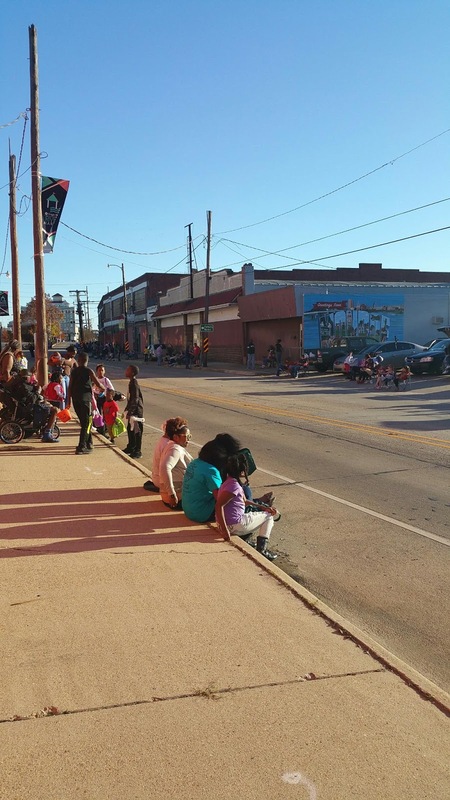 There were cars, traffic, and the bustle of people. Suddenly there was the honking of a car, the screeching of brakes, the thud—oh, it echoed. Right where Mr. Harmse stood in the whole town, there lay the man, dead. Right there at the feet of the man that begged him not to leave the church until he made his peace with God. Tomorrow night never came. There was never going to be another tomorrow night. There was never going to be another opportunity or meeting later on. That was God’s last cry to that man. God tried. Don’t think Harmse stood there in his own understanding and compassion. It was God crying through a man. The possibility of death places on me a grave responsibility toward every soul God and men expect me to witness to. Boldly, without any compromise. Shortly after that incident Mr. Harmse sent us to a town called Umkomaaz, a Zulu name of a town in Zululand. There this young fellow that I was working with and I began to preach. God came. God came, as young as we were. Suddenly the town was seeking God in a way they had never, ever seen before in the history of Umkomaaz. Everywhere souls were coming who had never come near the church, never come near the house of God. They were there, astounding people as they walked in, seeking God to save their souls. I said, “No sir, you tell me.” I wanted to know. He took me by the hand and led me to three other old men. They all wept as they shared this with me. “For over twenty years, we four men, every single day, got down before God and wept for God to come and visit Umkomaaz. Every day. Yesterday. The day before. The day before. We were down before God. ‘Come, God. We will not let Thee go except Thou dost come and bless us.’ That is why God is visiting us here. My boy, not through you. We prayed, and we refused to let God go for twenty year. God came.” They wept. The last day of those meetings I was in the church. I was my custom to spend most of the day, where I can, many times the whole day, just preparing. My custom was to stand in the pulpit of an empty church and pray to God “Guide me what to preach.” I’d go over every thought, every illustration, every chapter; if I’m just bringing the Word of God, every book. I go over it, preaching it aloud, so that every part of me is taken up with the message. I weighed carefully every word, anointed by God, soaked in prayer, preparing myself to preach that night. He said, “No, I don’t believe someone would have waited this long. Nobody knew this was going to happen, and take all this time. We’ll have to just go. We’ll have to contact him and arrange to see him some other time, as soon as convenient.” So we drove away from the town. Sunday I had to drive past that same town to go down the south coast of Natal to another town to preach at a Sunday service. I was early, so I drove into the town of Umkomaaz. I went up the hill to the house where this lady stays, and knocked on the door. She opened the door, and my heart just sank. Her eyes were swollen from weeping. She began to weep, loudly, when she saw who it was. She didn’t say a word, just turned and walked in. I walked in after her. I sat beside her on the sofa. I was weeping before she said a word. “Keith, you were the first one in his life he wanted to speak to about God. He said he would wait, no matter how late it was. He waited until twelve-o-clock. Then when we went to find out where you were, we found out you were gone. You left. He was so angry he began to scream, cursing, saying, ‘I’ll never try again. I’m going to get drunk and doped!’ No one knows what happened. They think it was a cigarette in his bed, in the little flat he stayed at, that set the sheets on fire. The whole flat went up like a furnace. In his drunkenness he couldn’t get out. He was burned to a cinder the night he wanted to speak to you about God. You didn’t come. I had to go and preach after that. You see, the possibility of death places on you and me a grave responsibility toward every soul God and man expect me to witness to. So I was given this car, went down to the center of the city, to the place where they have this big home, renovated, for all the drug addicts. Young people are there who witness and testify to all these smashed lives coming out of all the wicked places in the world. If there’s any interest they take them back to a big place where they sing, give them coffee, testify, and try lead them to Christ. If anyone comes to Christ of these broken lives they take them to this building. They dress them, feed them, and try everything they can to them through on a foundation of God. There he was in this place. I asked for a description of what he looked like. I got into the car, started driving down the blocks of Cape Town. Away from the building. Down this block, up that, looking at every face that could possibly answer to the description of this young fellow. I couldn’t find him. As I was driving I began to weep. Groan. “Oh God, don’t let him die. I could never face that lady who begged me to go. Oh God, don’t let him die! Keep him from death. Help me to find him, God.” I wept as I drove, knowing he could die. I pulled myself out and slammed the door. I stood there and looked at him. Because I knew who this was. You see, I know God. And I know how obliged God is when we weep like that. When we’re so scared of something going wrong like that. I knew who this was. I looked at him and I said “You are. . .” and I gave his name. Oh, the miracle I saw. It is one of the greatest miracles God ever let me see, what God did to that life at that moment. There’s nothing God can’t do, beloved, nothing. I saw a man, who was so drugged he couldn’t feel suddenly standing in the streets of Cape Town, lifting his hands, and beginning to worship the God Who had found him. I saw him sober up, as sober as you and I are right now, sober enough to ask God to save his soul. Do you know what drove me through those streets weeping, groaning, in a way God had to do that? This one thing: the possibility of death. I said, “Oh Jenny, I’m so sorry.” I led her back to the car. At the car, suddenly—I could never put into words what happened—my heart just sank, and I began to weep. I said, “I don’t know. I don’t know, Jenny.” I looked back at the home, and I began to run. I ran, weeping. I got back to the door, and I started banging on that door. Banging and banging, weeping. I said, “Jenny, I don’t know.” I saw this little window, and climbed up on the pipes against the wall. I held the window open and I cried out “Oh, can you hear me? Give God a chance! It doesn’t matter how destroyed your life is. It doesn’t matter how hopeless it is. God can heal you. God can make life more beautiful than it’s ever been, if you’d just allow Him to save your soul. Give God a chance!” I began to talk about what God did to me, my brother, my father, my mother. Suddenly the door opened. I got down. The lady of the house kept the door on a chain, and there was just a little gap. I looked at her face. Oh, she was crushed by life. She was heavy laden, tears coming down her face. I saw she wasn’t going to let me in, so I asked Jenny for a piece of paper and a pen. I wrote my telephone number down and said “Listen. I know you won’t let me in now, but when you’re ready—I don’t care if it’s twelve-o-clock in the night—you phone me, I’ll come. When you’re ready to ask God to save you. Give Him a chance.” She took the paper and shut the door. I don’t have all the answers. I wish I did. But this I know, that when a man, a woman, a child, is absolutely surrendered—that’s the words of Andrew Murray, the holiest man who ever lived in South Africa, no doubt—and God fills him with His Holy Spirit, that man, from that moment, is led by God to souls that are hurting every step he takes. That man is driven with a compassion for souls that are hurting. There’s a consciousness that God is with you when you get to the top of an escalator and a woman looks at you and bursts into tears. God sent you to her. When you’re knocking on a door, and a woman’s about to put her life into eternity, God sent you. When a man who didn’t ever want God in his life says “It doesn’t matter how late—I want you to come.” God sent you. Don’t ever let it be said you didn’t go. When you are absolutely surrendered to God the Holy Ghost you’re led and driven by God the moment God has control. This tells me of the love of God. The love of God is seen in Christ more than anything we could ever know. But the love of God is seen in you and me, friend, when we’re absolutely surrendered. The world needs proof that God is love. Let me tell you, God is longing for one person anywhere who will absolutely surrender, and all God does from that moment is lead them straight to the souls that are hurting that He can heal. God loves through us, when we’re absolutely surrendered, when we’re filled with the Holy Spirit. Now, when you’re filled with the Spirit don’t think it’s like a glass of water that’s not filled. The Holy Spirit is a Person. There can’t be half a person in you. He dwells in you. But being filled with the Spirit isn’t like filling the empty half. All if means is He has absolute control of you. It only happens at absolute surrender. When you give over the fight to God and say, “Lord, have Thy way.” The fight is finished. God takes control. Your lips become God’s lips; your eyes become God’s eyes. You suddenly don’t see people as people, you see everyone as souls. You see a person you’re standing with even for three minutes as a soul. Suddenly you realize their blood is on your hands, as no other Christian might stand for three minute alone with this person. You find a boldness in your character as you say even one word, and if you can’t you say a prayer from the depth of your heart. You carry tracts. You hold them out and say “Just read this.” Even if that’s all you do, but you’re there. You’re suddenly geared by God for souls to be saved, when you’re absolutely surrendered. I want you to pray to God in absolute surrender as never before in life. I want you to pray to God to make you a soul winner. I want you to say to the Lord, “Lord, it doesn’t matter how late, how tired I am, how inconvenient it is. I will never neglect a soul, because the possibility of death places on me a grave responsibility to every soul God and man expect me to witness to till the day I die.” Speak to God about this. My friend Chip invited me to meet Mark Cahill at a restaurant Sunday night. Mark was passing through, on his way to Texas. It was also his birthday weekend. He was sharing witnessing stories with those who were there. Mark has written several books like One Heartbeat Away and One Thinhalf You Can't Do In Heaven. He also travels across the country speaking and encouragI'm Christians to shar r their faith. Today is March 3:16. 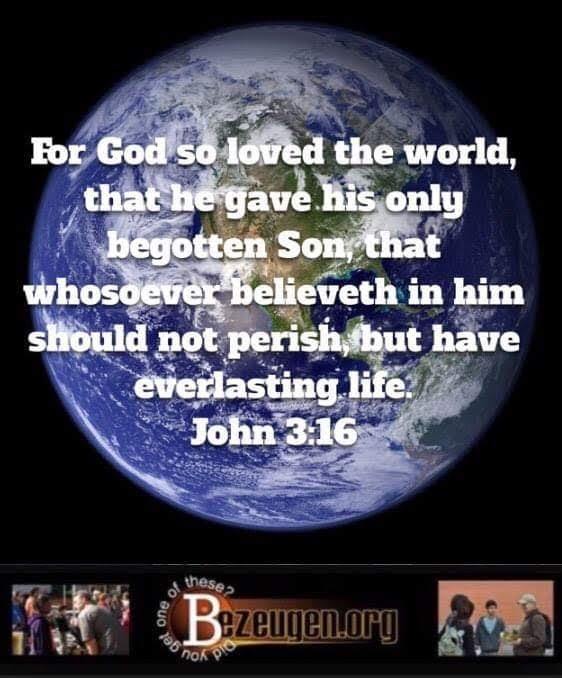 We are sharing John 3:16 with people through quoting it and tracts. I've been posting the tracts on Twitter with the #Austin316 hash tag. We had a great time at the Mardi Gras parade outreach tonight. We got there around 4:30, but it was raining. 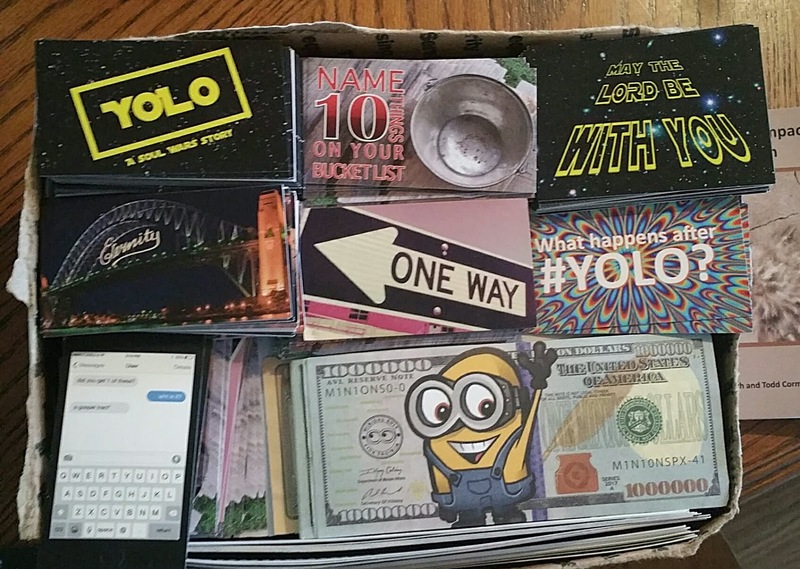 We went to Raising Cane's where I gave a Minion Million to the cashier. Randy took a ManCard. A family of 4 took the Spanish Minion Million Peso. When we parked to go back to the parade route, it was raining a little. It stopped after we prayed. Five of us gave out around 500 or more tracts in a little over an hour. We covered about 1.2 miles on the route. 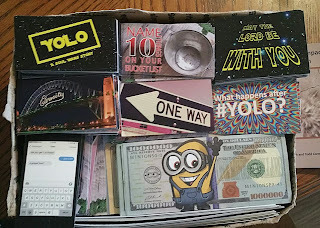 The main tracts that were well received were the May The Lord Be With You, the Solo Yolo, and a handful of Minion millions. We only had a few rejects. Please pray for fruit from this outreach.